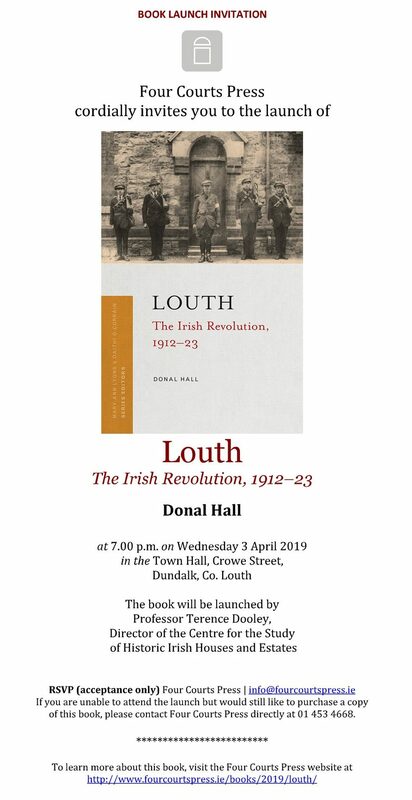 Louth: The Irish Revolution, 1912-23 by Donal Hall will be launched in Dundalk on Wednesday 3rd April by Professor Terence Dooley. See details below. The book may also be ordered directly from the publisher at www.fourcourtspress.ie/books/2019/louth.